I thought I saw an Elf the other day but it was just a funny looking baby and it inspired me to create some Free Christmas Vector Art. This elf is just a little preview; I plan on doing a couple more holiday vector sets in the next couple of days. It has Ben Blogged! Can I use any of your images for commercial use?. I create decoupage greeting cards, which other people can download from a site called crafts u print. Thank you for the elf. I cannot draw and it looks so cool on the scrap paper I did. Let me know when you do more please. 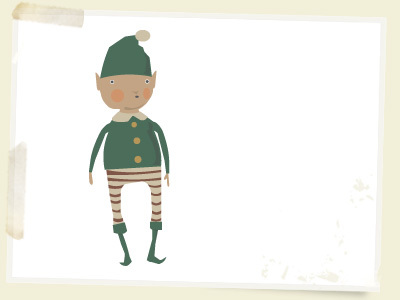 Brilliant elf vector, I’ll be using this on a Christmas party invite – thanks so much! Thanks so much! I used your little elf in a digi collage for a chunky book page and I am really happy with the final results. Thanks again!! !